How excited were you when you first had your wood floors laid? Did you sit on the sofa and stare at them for hours? Was it so beautiful and just like you had imagined? What about now? What do you think now when you look at your wood floors? It's probably not the same thing. Because as much as you want them to look just like they did on that first day, life takes over and dirt creeps in. And even if you yourself clean them regularly with a lot of love, with the best will in the world, it is unlikely that you will be able to preserve the quality you originally had. Well, that's the bad news. But the good news is the experts at Oakland Wood Floor Cleaning Service can maintain your wood floors to the high standard you desire. At Oakland Wood Floor Cleaning Service, we realize that there is more than just carpet and rug cleaning, our trained and experienced professionals know exactly what cleaning products are needed for your specific wood panel flooring. And we do a top job of applying those products - efficiently and thoroughly - to your wood floors. UCM Services Oakland - the wood floor cleaning service department - uses a whole slew of methods to clean your wood floors, including: sanding, applying filler, sealing, finishing, waxing and polishing. By engaging in this process and all these methods, our staff can ensure that your wood floors look better than ever! We don't scrimp on quality so that you don't have to compromise on high standards. 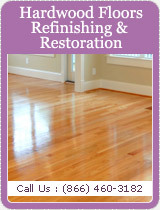 Not only do we clean, but we refinish your wood floors too. 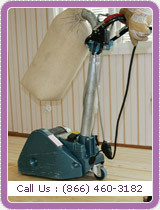 No matter how bad your wood floors look, the Oakland Wood Floor Cleaning service has the best equipment which enables our personnel to remove all blemishes from: Juice stains, coffee, crayon, ink, shoe polish, adhesive, tar, paint, scuff marks, oil and grease, without affecting the original and classic look of the wood floors at all or polluting your home with dust and wood particles, since we also use environmentally friendly products wherever possible. So take another look at your floors today and just think about how much you could benefit from the expert staff at Oakland Wood Floor Cleaning service.